The chassis is approx. 3 inch tall, 10 inch wide and 9 inch deep. Front panel has 3/8 inch thickness , sides, top and bottom are 1/4 inch thick. What makes it different from any other project box is the addition of a center panel, which is 3/8 inch thick. It divides the chassis into two sections: one for the electronics the other for power supply. It allows to mount attenuator and source selector in more convenient locations and allows the attachment of top and bottom panels with only two screws, which not only simplifies things but also creates more aesthetic appearance. 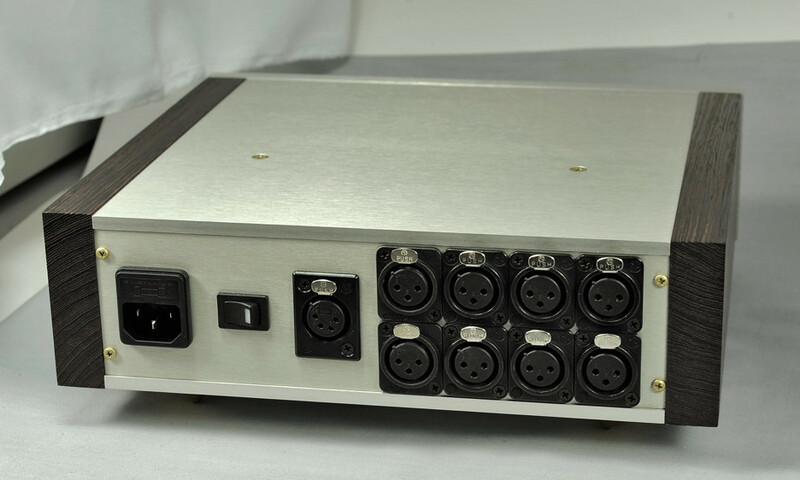 There are 3 sets of RCA inputs in a back allowing connection of three different sources. Last position on a selector is for source muting (no source connected). 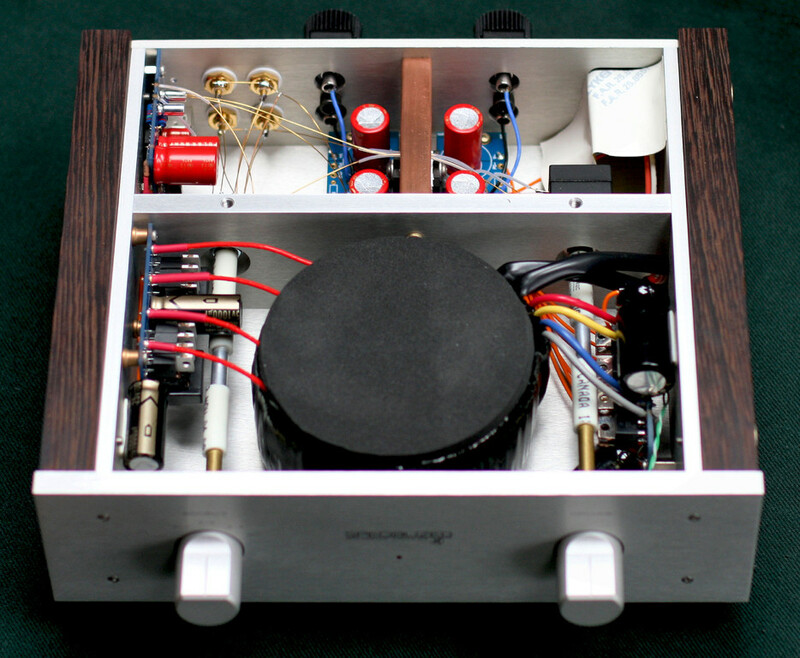 The amp can be also fitted with blank front panel if volume control and source selection is not required. 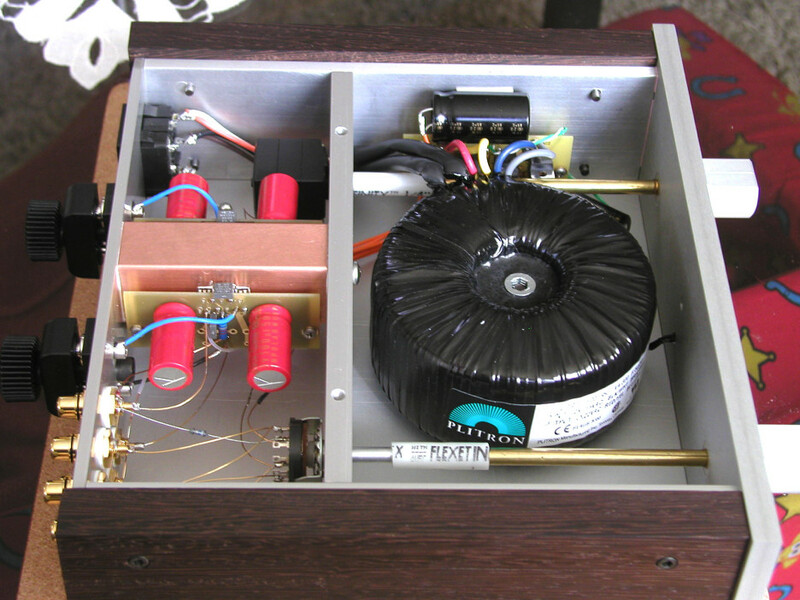 Copper block in a back holds both amp modules. 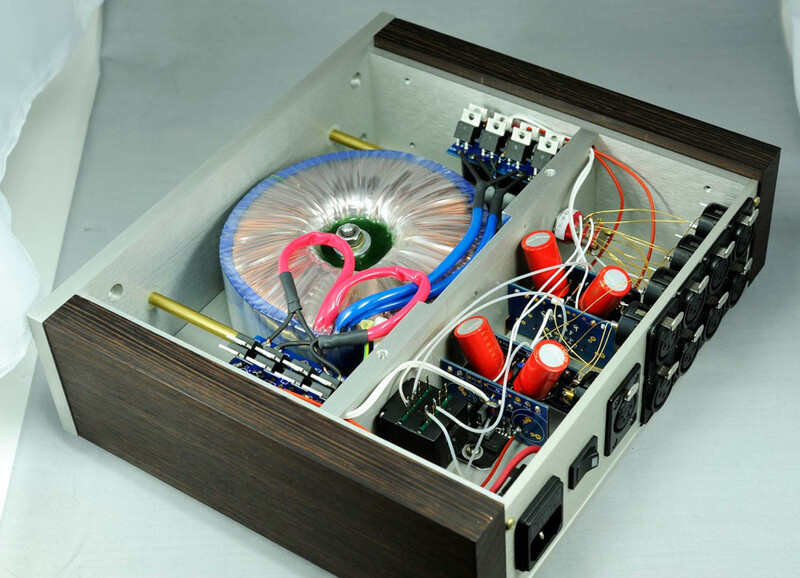 It also acts as heat spreader, transferring heat from the op-amps to the other panels. 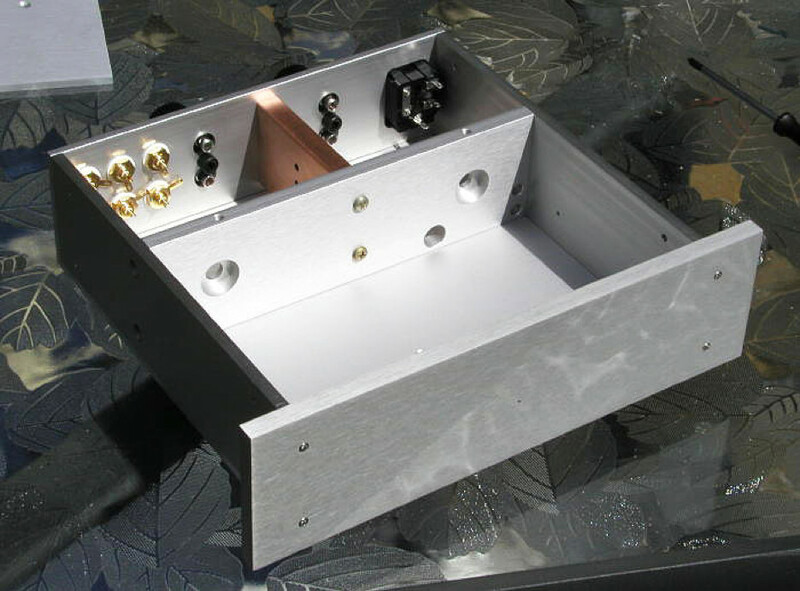 The attenuator and source selector are installed on a center panel with a use of shaft extenders. 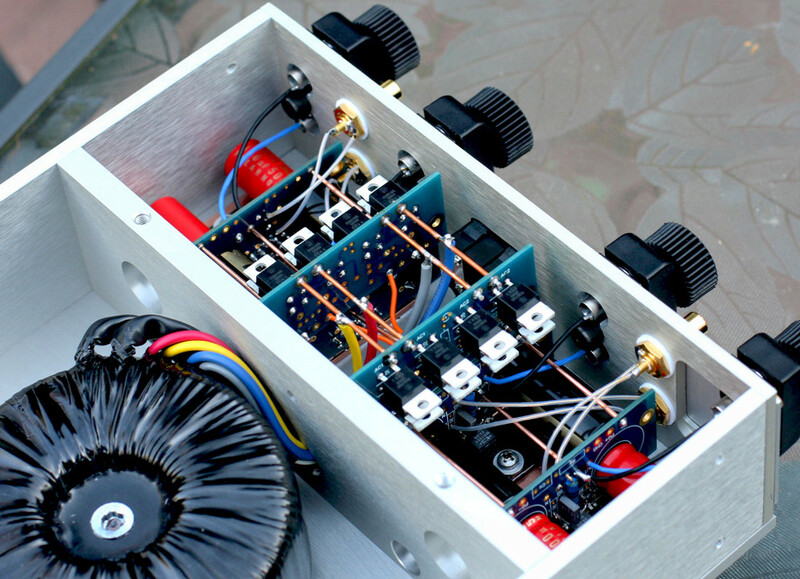 This shortens the signal path as well separates 300VA transformer from the amp circuitry. 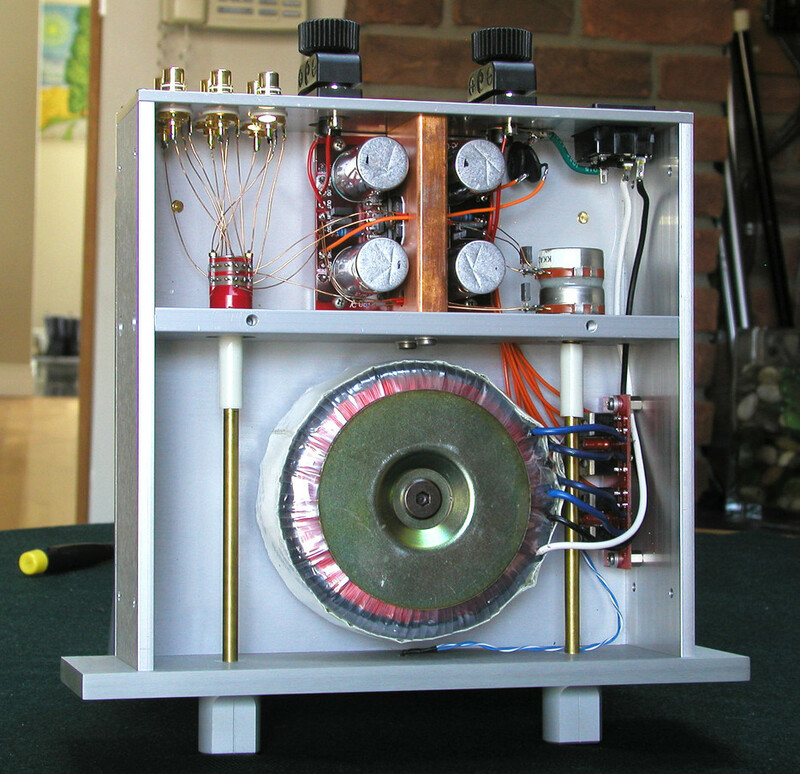 A small board with rectifiers is mounted to a side panel. 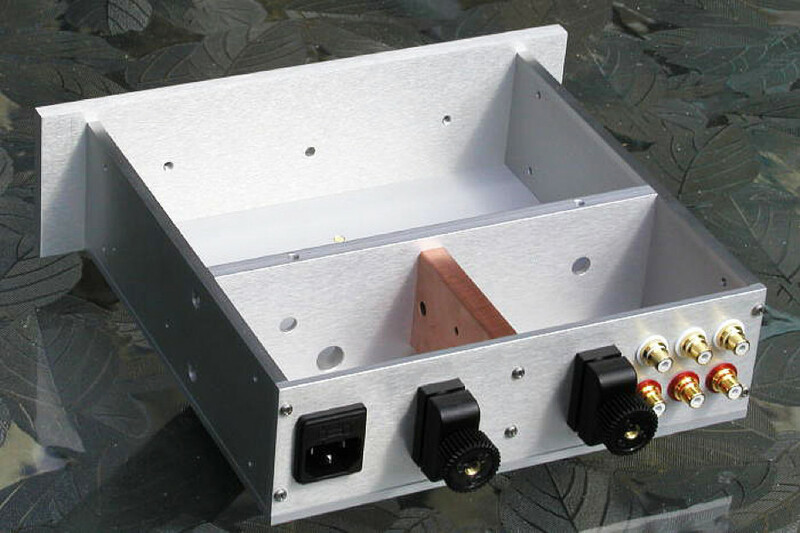 There are different options for attenuator an source selector, as well as binding posts. 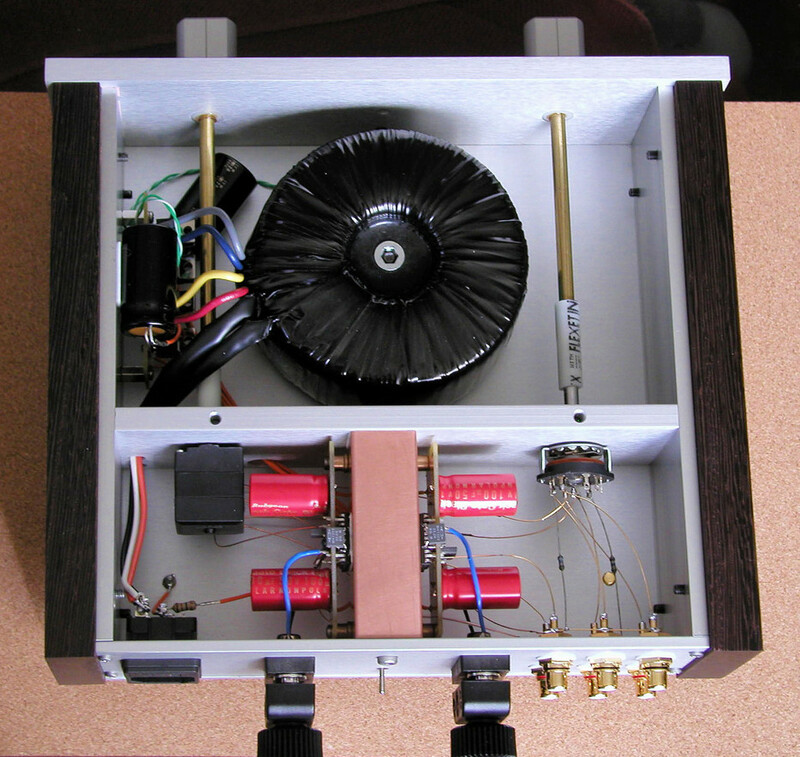 Panasonic filter caps are being used in power supply, however, on a special order Black Gates are also available, as pictured above. 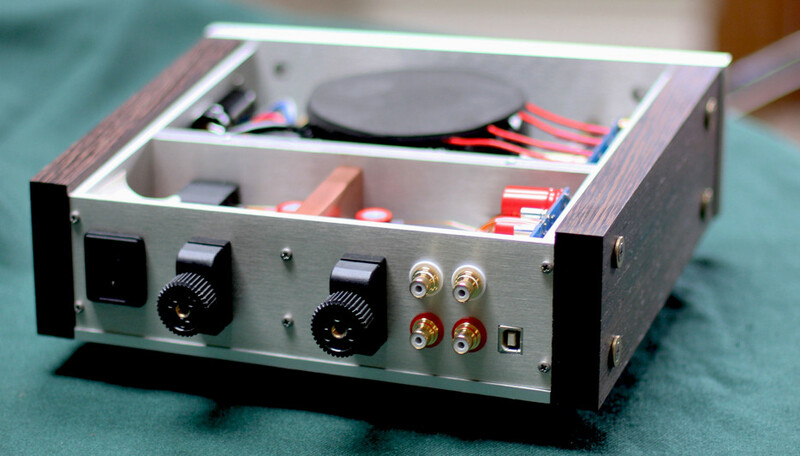 The amp normally comes with Wenge side panels, but other options are available as well.